As a novice landlord, I was always advised to ask for tenant references when screening applicants. I joined different sites, received a couple of references, and grew as a landlord. Now, I no longer ask for or even bother with tenant references. 1. Landlords are restricted by law on what they can say about their tenants – In some states and areas, landlords can only say certain things about their tenants; otherwise, they can be held for contempt. 2. Current landlords don’t enlighten potential landlords if it would prevent the tenant from leaving – I have heard from a few people who have had disaster tenants costing them thousands of dollars. While they certainly didn’t lie, they didn’t tell the future landlords about the destructive power of the tenant. 3. Tenants only put positive references down – Most people are smart enough not to put down anyone as a reference who wouldn’t be a positive review. 4. Home owners have no references – Our houses are located in a lot of transient areas where people often rent houses before they buy in order to get a feel of the area. Therefore, often times, our renters have never rented a house before. 5. Applicant/previous landlord personality conflicts – Personality conflicts can occur causing a previous landlord to give a bad review due to personality and not tenant potential. Due to these reasons, references don’t offer any weight on my decision of whether to accept or deny the potential candidate. Therefore, I do not follow up on or bother with tenant references. The funny thing is I have noticed that the requirement for references are becoming fewer and less often asked for in the business world. Being a military wife, I have had the pleasure of attending many job interviews and filling out many applications. Even for my latest professional positions I have noticed that none of my previous references are being called. It was very interesting to me that other businesses have also noticed this phenomena and are no longer requiring this information. 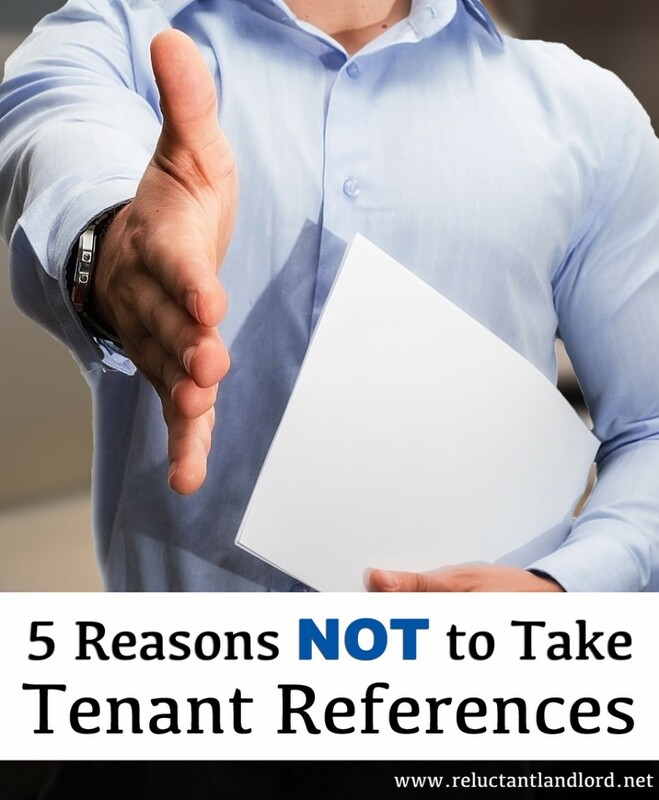 Do you require tenant references? Why or why not? Yes, I require references on the application, but I don’t call them because as your article says no one will will down someone who will give a bad reference. I do ask for emergency contact and I call that person (s) to verify if there are ok with being a contact person. LOL! Love it, “don’t tell the fair housing police on me”. Over the years I have found, that I pass the fees for the background and credit check directly on to my tenant. That way you don’t have to work about cost. I personall LOVE Cozy.